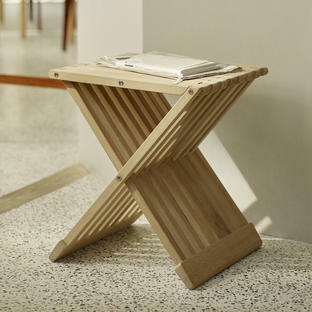 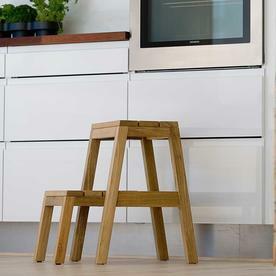 Practical and beautifully designed stools and stepladders, for use inside the house and out. 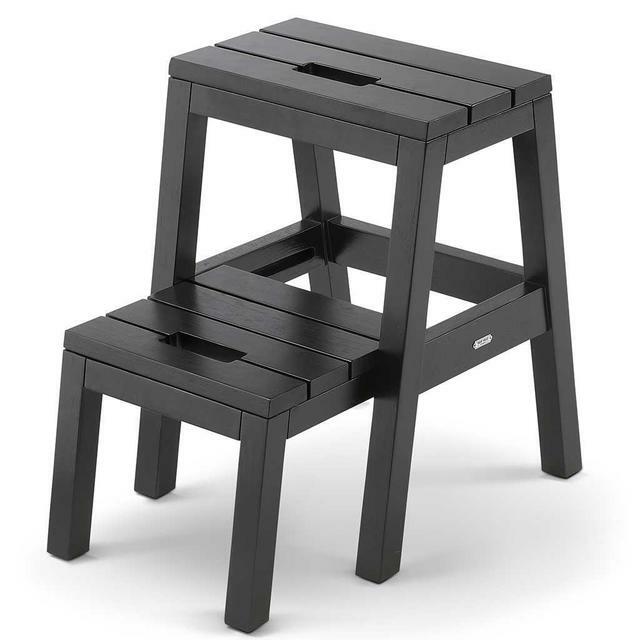 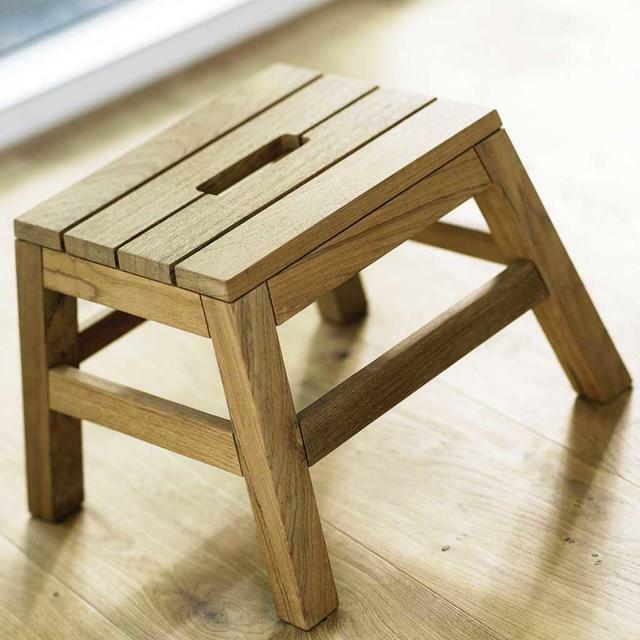 The bottom step on the stepladder pushes neatly under the seat, so you can use it as a stool as well as a ladder! 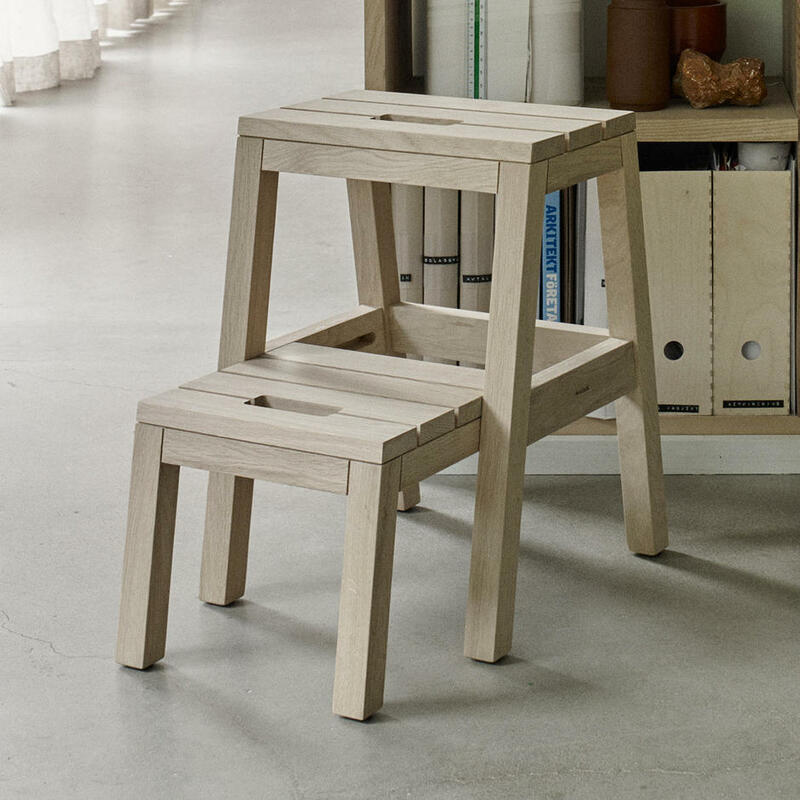 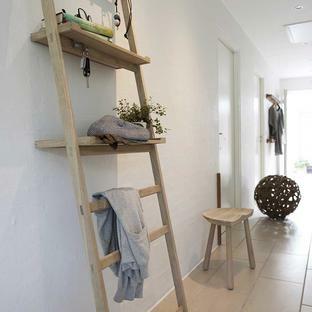 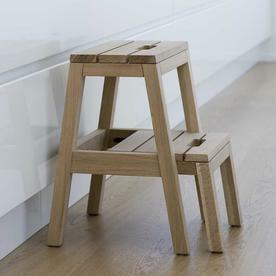 The stepladder stool is perfect to have to hand when reaching up to that extra tall cupboard. 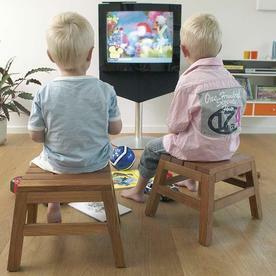 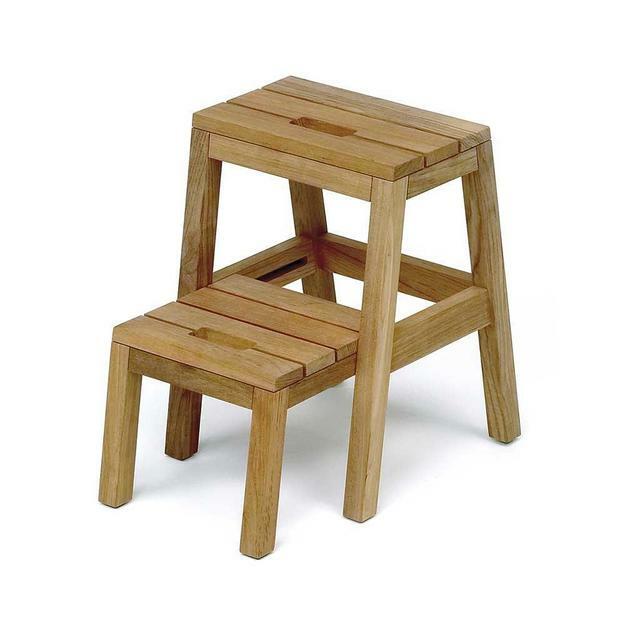 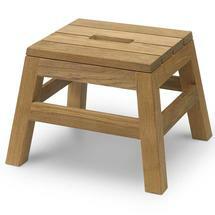 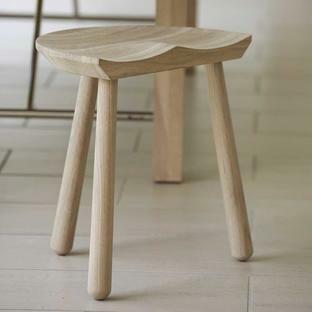 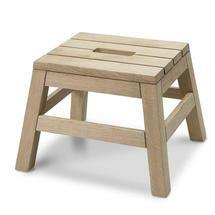 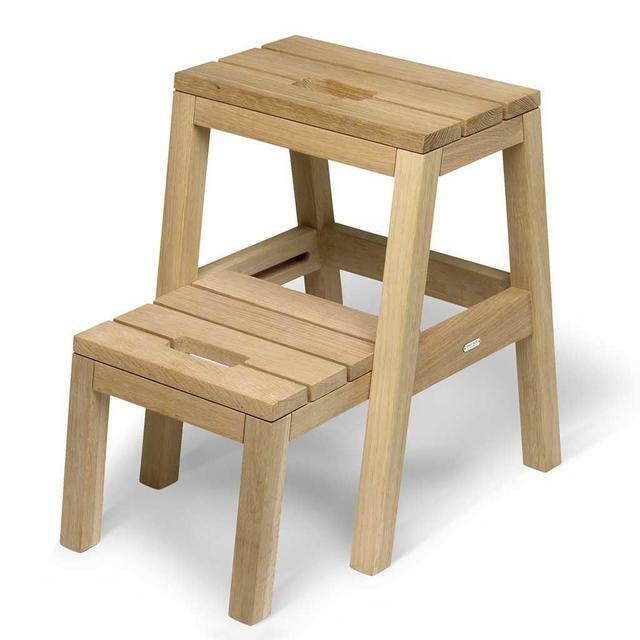 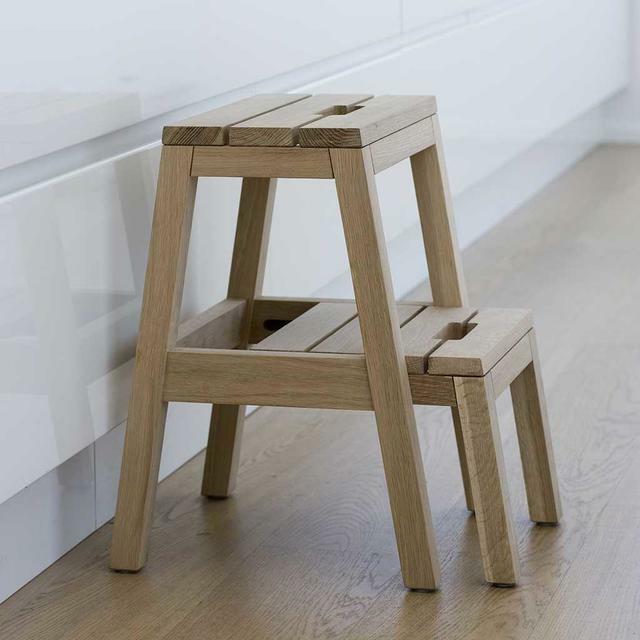 The small stool is ideal for small children to reach the taps - or just somewhere to sit on when you are very little! Choose from 2 finishes, oak and teak. Tall stool/stepladder with foldaway bottom step.